A week after a published report suggested that the Trump administration might be working on a plan to introduce Medicaid block grants, the Washington Post reports that those efforts are under way in earnest. 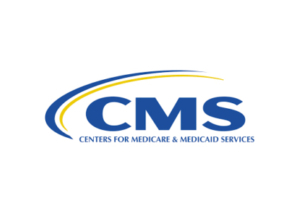 A small group of people within the Centers for Medicare and Medicaid Services is working on a plan to allow states to ask permission for their federal Medicaid dollars to be provided in a single lump sum instead of the way they are currently awarded as a percentage of states’ total costs. While many, including members of Congress, insist that the administration cannot move forward with such a proposal without legislation, others suggest that the administration may offer states the opportunity to participate in Medicaid block grants voluntarily, by seeking a federal waiver. What remains to be seen is whether the prospect of greater flexibility to shape their own Medicaid programs is sufficient to entice states to participate in an approach that almost certainly would result in less federal money for those programs. If the policy focus shifts from participants to spending, an effort could be undertaken to attempt to introduce a major Medicaid change that has been much-discussed in the past: Medicaid block grants. Block grants, whether based on individual states’ Medicaid enrollment or on their past Medicaid spending, could impose unreasonable limits on Medicaid spending that could potentially leave private safety-net hospitals unreimbursed for care they provide to legitimately eligible individuals. NASH will work to ensure that any new approach that involves Medicaid block grant continues to give states the ability to pay safety-net hospitals adequately for the essential services they provide to the low-income residents of the communities in which those hospitals are located.